At ASP Ltd, we have an extensive range of window screws for you to choose from. In window construction, the type of screws you will need depends on a variety of factors, from the window style to the surrounding masonry. If you are securing a new window frame, you will need to use screws which can penetrate brickwork. Our range of concrete screws can help you with fastening window frames to concrete, brick, or stone. If you have a bay window, we offer specialist bay pole screws designed for bay window frame fixings. Once your window frame is secure, you can install the window. To fasten the parts of the window together and fix them into place, you are going to need window screws amongst your building supplies. 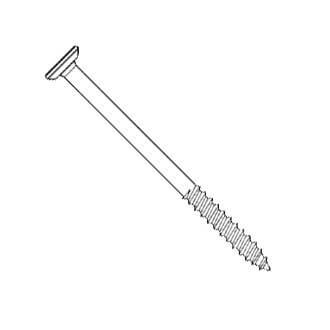 Browse our range of window screws below, complete with illustrations and specification details for each window screw type’s intended use. Our selection of window screws covers many types of windows, window frames, and individual window parts. You will need to use the correct style of screw for each part of the job to install or replace a window successfully. Many windows have multi-chamber sections for thermal efficiency, as having 4 or 5 chambers reduces heat loss through the frame. ASP Ltd offers screws which can be used to secure reinforcements up to 3mm in thickness. We have a range of self-tapping and self-drilling window screws for single chamber or multi-chamber sections, whether they are unreinforced or reinforced. Many windows come with friction stays for opening and closing. We offer universal friction stay screws for use with unreinforced or reinforced window frames. It is also common for windows to have an espagnolette locking system. When you are installing the handles to operate this locking mechanism, use our screws designed for espagnolette handles. They are also available in stainless steel, which is ideal for windows because they have enhanced corrosion resistance. Most of our window screws are available with a zinc plating (Z) or yellow-passivated finish (Y). Our austenitic stainless-steel window screws are extremely resistant to corrosion. Our A2 bi-metallic screws have an austenitic stainless steel head and thread and a hardened steel point. These allow the screws to self drill into steel reinforcement.